Importing from China to the European Union? Then CE marking, and compliance with at least one EN directive, may be mandatory. Yet, many small businesses importing from China remain unaware of how to determine whether CE marking is required for their products, and which party is required to ensure compliance. In this article, we explain the basics of CE marking, including documentation, labeling requirements, regulated products and relevant EN / EC directives. What’s more, we also explain why companies importing from China, and other Asian countries, must never assume that their manufacturer is able to ensure compliance with EU standards and regulations. Many products sold in the European Union must be compliant with one or more EC or EN directives. Some EC directives apply to specific products, e.g. finger paints, while others are more comprehensive and include a wider scope of products, e.g. Electronics with an input or output voltage, between 50 to 1000 volts. ‘CE marking” is not a product directive, but a conformity marking signaling compliance with all applicable EC directives. As each EC directive regulates specific products, their scope of regulation varies. Some EC directives regulate substances, while other regulate energy efficiency and electrical safety. Some directives also cover product and packaging labelling, other than the CE mark itself. As such, compliance requires more than a printed CE mark. You must ensure that the items comply with all technical standards (which in turn are often based on IEC and ISO standards) and requirements, as outlined in the applicable EN and EC directives. Importing and selling non-compliant items in the EU is illegal, and may result in both a forced recall and serious fines. Assuming that the goods make it through customs in the first place. Are Non-EU Based Importers Required to Have Their Products CE Marked? No, as CE marking is part of European Union directives, importers based outside of the European Union are not required to ensure compliance with EU regulations. However, looking for previous ‘CE compliance’ when selecting a Chinese manufacturer is still wise – even for non-European importers. Previous CE compliance indicate a certain level of technical expertise. European compliance is also far more common among Chinese manufacturers, as compared to compliance with American, Australian and Indian standards. Thus, buyers in these countries often have no choice but to primarily look for suppliers able to show compliance with EU regulations (i.e., previously issued product certificates and test reports), as a way to determine if the supplier is capable to comply with technical standards and regulations in their own countries (i.e., FCC Part 15). Some EC and EN directives regulate specific products, but most are applicable to groups of products. We introduce the scopes of regulations for various directives further down in this article, but let’s begin by taking a look at the products, for which CE marking is required. Note: CE marking is not mandatory for all products imported the the EU. In addition, there are product regulations which apply to items for which the CE mark is required, and for which it is not. REACH is one such regulations, restricting substances (i.e., Lead and Cadmium) in all consumer products. Which Party is Responsible to Ensure Compliance with All Applicable EN Directives? When products are manufactured overseas (e.g. in China), the importer is responsible to ensure compliance with the applicable EN Directive. This often comes as a surprise to European importers, as most EU authorities, and their websites, tend to refer to the “manufacturer” as the party responsible to ensure CE compliance. However, when items are manufactured overseas, the importer is considered being the manufacturer. Thus, the responsibility to ensure ‘CE compliance’ cannot be shifted to a Chinese manufacturer. What Can Happen if We Import Non-Compliant Products From Overseas? We have received several notifications of EU customs requesting CE certification documents, to prove that the imported items are compliant with all applicable CE directives. In cases when the importer could not produce the requested documentation (i.e., Product Certificates and Technical Documentation), the Customs authorities have refused to shipment to enter. A few years ago we also received a similar report from a Swedish company, also importing toys. The difference in this case was that the items arrived several months ago, but when local authorities came knocking on their door – they couldn’t produce documents proving full compliance. As a result, the authorities forced a recall. Hence, the importer had to issue refunds to their retailers, essentially buying back the entire batch of ‘non-compliant’ goods. We’ve never heard from them since. Are all Chinese Manufacturers Able to Ensure Compliance With EN Directives and CE Mark Our Products? Short answer, no. It’s rather the opposite. In most industries, only 5 to 10% of the Chinese manufacturers are able to produce compliant goods. However, that is not saying that an entire factory can be “CE compliant”. CE marking only applies to specific products. Therefore, even the manufacturers that can show previous compliance (i.e., previously issued certificates and test reports), does not always make ‘CE marked items’ by default. Thus, when selecting suppliers, we always look at previous CE compliance in order to determine if the supplier has the technical expertise and manufacturing capability to manufacture compliant products. Neither of these are to be taken for granted in China. Remember, previous compliance is an indication, not a guarantee that your items will be compliant. There is no such thing as “compliance by default”. Before you place an order, you must make your supplier aware of “your” compliance requirements. If Chinese manufacturers do anything “by default”, it’s manufacturing items that are non-compliant with any foreign standard whatsoever. But simply referring to “CE compliance” and assuming that the supplier will know exactly which EC directives apply to their products is an extremely risky strategy. You must confirm exactly which CE directives your products, and communicate this to the Chinese supplier. In order to verify compliance, you must also implement a testing and certification procedure. In most cases, importers cannot rely on ‘existing certification’, but must submit reference samples or prototypes to a testing company, before mass production. The Declaration of Conformity (DoC) (See sample) is a document issued by the manufacturer, stating that the item is compliant with all applicable EN or EC directives. The DoC shall also list the specific EN or EC directives of which the product is compliant. Apart from this, the manufacturers company name, address and product information shall also be present on the DoC. For some products, the manufacturer is allowed to issue the DoC without the need for third party testing verifying compliance. This setup works fine, when it regards European, American and Japanese manufacturers. But what about Chinese manufacturers? Fake product certificates and test reports are not unheard of in China, to say the least. Many Chinese suppliers issue DoC, claiming compliance, while they have not made any effort whatsoever to ensure compliance. A few months ago we received a DoC, issued by a Chinese supplier, claiming that their ball bearings were compliant with the Electromagnetic Compatibility (EMC) Directive. The EMC directive regulates electronics, that may interfere with other electronics in its proximity. The problem here is that a ball bearing doesn’t have any electrical components, and is therefore unable to interfere with electronics. Thus, the EMC directive is not even applicable to a ball bearing. In essence, the Chinese supplier simply went online and copy pasted the first EN directive they could find on Wikipedia, hoping it would solve their compliance problems. In the end, it’s the importer’s responsibility to ensure that the items are compliant. If the authorities find that your imported items are non-compliant, you will be held responsible – not the supplier. This is why third party testing, verifying that the DoC is actually valid, is important, even though such testing may not always be required by law. However, in some cases, third party testing is required by law. This means that the Declaration of Conformity, issued by the supplier, must be based on third party testing from an authorized testing company. However, the specific information a technical file shall include is outlined in the applicable EN or EC directive. The technical file, unlike the Declaration of Conformity, must not be published or made available to retailers, or direct customer. The importer is required to present the technical file, only if requested by EU or local authorities. Thus, the importer is legally required to obtain copies of the technical file from the Chinese manufacturer. But, as the technical file contains detailed product information such as circuit diagrams, virtually no suppliers are willing to hand it over prior to the buyer placing an order. This opens up a world of problems, as the importer is facing the risk of first paying a supplier, only to find out that they don’t really have a technical file. How do I get these documents from my supplier? In order to complete a technical file, you must obtain the bill of materials, design drawings and other documents. Many suppliers hesitate, or outright refuse, to provide these documents – citing needs to protect their IP. So, what can you do if your supplier reject to provide documents that are mandatory for importing the product to the EU? First, you may want to consider to change supplier. Without the right documentation, you cannot import the product legally anyway. For more simple products, however, you can consider to ‘reverse engineer’ the bill of materials, and recreate the design drawings on your own. This should not be attempted for more complex products though. Can’t I just use my supplier’s declaration of conformity and technical file? Using the supplier’s documentation is actually accepted by most EU member states, as long as the product brand is owned by the supplier. And, that you can provide a technical file upon request by authorities in the EU. Keep in mind that this only works in theory. Extremely few suppliers in China even have a technical file, so if something ‘goes wrong’, you will be left holding the bag – as you will not be able to present a technical file. In the end, you will need to create the DoC and the technical file. Further, if you import products with your own brand name, or design, you are classified as the manufacturer. Hence, you will need to issue the DoC and technical file in your name. The CE mark is essentially a label showing that the item is compliant with all applicable EN or EC directives. On the other hand, products that are not regulated by such directives, shall not be CE marked. The CE mark shall be affixed to the product unit and its packaging and user instructions, if any. This shall be done during production, by the Chinese supplier. That said, don’t expect that they are aware of the specific labeling requirements applicable to your product. It’s critical that you provide your supplier with graphical files (i.e., in .ai or .eps format), dimensions and affixing position on the product. 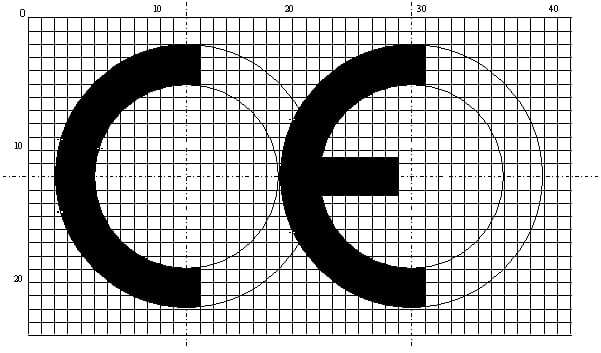 The proportions of the CE mark itself shall also be according to the official layout set by the European Union, and a minimum diameter of 5 mm. That said, there are also exceptions. Naturally, the CE mark shall also be permanent, so a sticker is not enough. As explained previously in this article, CE marking is meant to show compliance with all applicable EN or EC directives. Below follows an overview of directives applicable to electronics, machinery and toys. However, keep in mind that this is not the full list of directives requiring CE marking. The Low Voltage Directive applies to electronics, and components, with an input, or output, ranging between 50 to 1000 volts AC, and 75 to 1500 volts DC. Thus, the Low Voltage Directive scope of regulations covers a wide range of products, including chargers, cables, home appliances and socket outlets. However, LVD is not applicable to battery powered devices, and other electronics with an input, or output, that falls outside of the specified voltage range. The EMC Directive is applicable to fixed electronic appliances, such as LED displays. The purpose is to ensure that electrical equipment don’t interfere with other electronics, and signals, in its proximity. While it’s impossible to completely eliminate electromagnetic emittance, the EMC directive sets strict limits – which in turn depend on the type of product, its usage and intended environment. However, products covered by the R&TTE Directive, are not regulated by the EMC directive. The Machinery Directive is applicable to machinery, interchangeable equipment and parts. The machinery directive primarily regulates mechanical design and electrical design, but also ropes, chains and other safety aspects of machinery. That said, motor vehicles and many types of consumer electronic appliances, are not regulated by the Machinery Directive. EN 71 regulates toys, and other children’s products. It’s not one uniform standard, but divided into 13 different EN 71 standards. In most cases, more than one EN 71 standard is applicable. EN 71 regulates various aspects of toys and children’s products, including, but not limited to: flammability, mechanical and physical properties, chemicals and heavy metals. In addition, EN 71 also stipulates requirements for graphical symbols (e.g., age warnings) and other labeling requirements. The Radio Equipment Directive (RED) is replacing R&TTE, and is applicable to radio and telecommunication equipment. The scope of regulations includes both final products and individual components. Therefore, products with radio, WiFi and Bluetooth transmitters and receivers are required to comply. This includes, but is not limited to, Android tablets, Smartphones and WiFi routers. The Eco-design Directive was put in place to reduce greenhouse gases. As of today, more than 40 groups of products are covered by the Eco-design Directive, including light bulbs and domestic electrical appliances. The directive also applies to non-electrical products, including windows and insulation materials. The RoHS directive restricts the amounts of certain substances in electronics, including lead, cadmium and mercury. Starting in January 2013, RoHS is now part of the CE marking directive. Therefore, RoHS compliance is mandatory for all CE marked electrical items. However, there are few exceptions. because it is will cost several thousands USD to make real CE, many suppliers doesnt want spent that money for it and they prefer to take that costing at their own pocket if they think their profits from your order isnt much. Yes, that is a major issue. However, ensuring CE compliance is not always that expensive. The most important factor is the quality of the suppliers engineers. yes, forgot to say the CE charges i mean for the electronic products such as for mobile phones, tablet etc which i know well. I’m currently negotiating some machinery (small industrial autoclave) from a Chinese company found through Alibaba and in the last step they asked for an additional USD 5000 to pay the CE certification. I was quite surprised for the price of one certification. Is this number near the average prices? This just happened to us. Finished order and was told we needed to pay for CE Certification. $3000.00. Shocked! Do we need to get a CE Certification on everything we ship? What does a CE Certification usually cost? Is there a way, using the CE certification number, to check the organism that made conformity assessment procedure (website, database,…)? The testing company is always listed on the certificate / test report. It shall also have an ID number, for the purpose of verification. Hello Wal…we ran into the same thing. The items are ready to ship and we have been told it will be $3000 for CE Certification. Do we need a CE Certification on EVERY item we ship from China to the European countries? No, you don’t need to test every batch, unless you change the design, materials or components. Hello Miguel…we ran into the same thing. The items are ready to ship and we have been told it will be $3000 for CE Certification. – Is there a way on the Internet to show me according to the sector ..the Chinese companies that have CE or FCC ..so I csn go direct to deal with them ? – Another question ..an factory in Shenzhen I go to speak to them about certificate ..after negosiate ..they asked me to pay 4500RMB to got CE certificate within 5 days ..is this true ? No, don’t trust them. A supplier cannot simply buy a certificate.. well, they can, but it’s not legit, and the importer would still be held as responsible by the authorities in the target market. First of all, you need to verify if the supplier has any sort of previous experience manufacturing products in compliance with the relevant regulations. From then, you need to implement a strategy, which covers everything from third party testing to documentation. Unfortunately, there’s no easy way to do this, especially when buying electronics. It just mean that factory you dealing with are quote you the CE cert cost which is the average cost they are getting from the lab they work with. The biggest question is to prove the lab are quoting a legit DoC rather making a fake one. My experience told me alot factory not even know their lab are making fake DoC cert. The DoC is self-issued, so it cannot really be fake. However, the test reports can, of course, be faked. And yes, Edward is right. Many suppliers just don’t know anything about the CE Marking process, so they don’t understand they’re taken for a ride by some, less trustworthy, testing companies. the factory send to me a copy of his CE certificate i need to make check is certificate is real or fake ? I would like to know if is required to have CE mark and declaration of conformity and technical file/testing etc.. for the items that are designed for cars. Ex: Led bars, bulbs,.. the input/output is maximum 30V So I would assume is not needed. LVD is not applicable. However, RoHS and the EMC directive is still so. R&TTE may also apply. when importing wrist watches from China, is it necessary to have CE marking on them? Yes, RoHS applies to watches. Hence, CE marking is mandatory. However, we see that many small (EU based) brands still neglect this. Big brands, on the other hand, are better at this. thanks for the answer! For a Quartz watch – does EMV apply as well or can this be neglected? If so, why? I meant Electromagnetic compatibility (EMC). Is that not applciable to wrist watches as well? As the EM signature of a watch is so low, testing is normally not required. However, you would still need to issue a Declaration of Conformity, based on our understanding. So to sum up, quartz watches should be CE marked but RoHS testing is not required by law, correct? Assuming the purchased movement is RoHS compliant like Miyota movements. Is any test documentation needed or just the declaration of conformity? All electronic components, including quartz movements, must be RoHS compliant. RoHS also requires the CE mark, which is why quartz watches must be CE compliant and labelled. But, as you say, Japanese and Swiss movement manufacturers, including Miyota, already make RoHS compliant movements. Thus, I don’t think a RoHS lab test for the movement is necessary. Which EN Directive is applicable for Submersible Motor-Pump Set for Irrigation Purpose. Actually I want to know the difference in between Declaration of Conformity, CE Certificate & CE Verification of Compliance certificate. Hello , I have a different question. I am about to import 5 machines from China to the UK and resell them to a customer in Sweden. As you are the importer, you could be held liable if your import a product without the proper documentation. This sounds very risky. Compliance requires a lot more than just the CE mark. I would to to order some electric bike or electric scooter from China…but my supplier hasn’t got a Ce certificate. My question is Can I sell this product in UK without that?What is the worst things to happening to me If I sell this items without that Ce certificate? No, you cannot. The worst thing? Depends on how creative we get. However, at a minimum, the products will be seized by the customs authorities. This means you’ll lose the products, and you will also be fined. If it turns out later on that you lack the certification and other documentation, the same thing will happen. But the worst would be if your products injure someone or damage property. Non-compliant lithium batteries are fire hazards, and there were several house fires caused by such batteries in the UK, last year. You will be liable for all injuries and property damages caused by your illegal products. This can amount to tens of millions of pounds, and jail time. Nice guide on a complex subject. Thanks for sharing! I want to import a roasting machine into UK, the machine does not have a CE certification. I do not intend to re-sell, it’s just for use in our factory. Do I still get it CE certified? Do non electrical items need any sorts of certificate? For example- phone covers, car phone holders, bike pedal etc. that made out of plastic. Thanks. Yes, there are regulations that apply to non-electrical products. For example, this includes REACH. I’m very confused and wondering if anyone could help me. I am planning to import welding rods from a supplier in China. I asked for CE certificates and was told that they dont have these but instead have Lloyds Register, a notified body. Can I still import these items to the UK and sell on the market or do they still need the CE marking and certification? You need to pay a consultant to find out which regulations apply to this specific product. I work in China 9 months of the year and own a Morakot electric bike (e-bike) that I bought for £300 ($450) for daily use in the Chinese city I live and work in. I’d like to import this e-bike into the UK at the end of my contract for personal use. Do you think this is a possibility? Are e-bikes difficult to get CE approved? Would it cost a vast sum of money to import it? Hello, I have recently bought some kids superhero capes from China that are not CE marked. In my opinion they will be flammable and therefore surely not pass any such testing – would a ‘Warning – fire hazard’ label suffice? Or do I need to get them tested? How much are we talking if i sent them to a lab versus testing myself at home? No, that is illegal. A Warning label is not a shortcut that enables you to sell a dangerous product. It’s not just about “getting them tested”. The products must be manufactured according to the right EN standards… which yours are not. You must also create all the mandatory documentation. I am hoping you will be able to help. I imported a shipment of herb cutting scissors from China to Italy. Italy customs is withholding the shipment and asking us to produce a CE Conformity Declaration letter. We have already provided food safety reports under EC guidelines but customs will not release without the CE Conformity letter. Our manufacturer has contacted testing agencies and they are unable to provide or provide CE testing because under their guidelines, CE conformity is not required for herb scissors. Do you know if such is true? If not, is there an agency that I can contact that will be able to help? Thank you in advance for any assistance or guidance that you can provide. This is very strange. As far as we know, CE is not applicable to this product, and therefore they should not request such documents. However, a Declaration of Conformity is mandatory for food contact materials, so maybe this is what they are actually asking for? Hi, i would like to import hoverboards from China to Belgium. You should avoid that, given the extreme risks. There are too many regulations to be listed here. Your guide is simply fantastic and covers almost every aspect of importing which took me several hours and a lot of websites to collect the same level of info! I want to import disposable latex gloves in Greece(Europe). Through searching on the web I found out that they fall under the PPE Category 1 IF I am not mistaken. Am I right? In addition the factories that I have contacted through Alibaba have told me that they have CE certificate.I am thinking of having SGS to test their product for me.But my question is if the factory give them an “approved-good” sample to test positive and then my batch is of lesser quality,what happens then.Is this scenario even possible or am I looking too much into this? Best Regards and please keep up the good work! Yes, latex gloves should fall under PPE, but I cannot confirm the class. Notice that this most likely depends whether or not the gloves are used for commercial or home use. I am planning to import prefab module for hotels to Iceland from China. I’m contacting two factories and both of them provided me ce certificates, which look rather different. One certificate doesn’t have “CE” marking, but it can be verified on sgs website. I have read through this blog and you said it could require much more than a CE certificate to prove that all products are in compliance. What document could customs/authorities require? A Technical file as mentioned in this blog? I am planning of importing LED light Bulbs from China to supply retailers in the UK. Do I need to print a post code or address on the rear of the retail packing or just a email address is enough. Not 100% sure about this, but I think a Batch ID, company name and address is required. All CE products must be tractable. Am looking for a company which produces SURGI PLUS brand of disposable medical products can I indentify it using CE number or their iso certification. Hi, I have imported an HIFU machine thru Alibaba, however when machine arrived it wasnt the same model and has no markings or labels showing CE or model number. I have opened up a dispute and now the true colours of this Supplier comes thru with them making false statements etc. I requested the CE conformity form and when I verified it on the ENC website there is a different company and models that come up under that reg number. Alibaba has requested I pay for a third party investigation. Now what is my recourse? 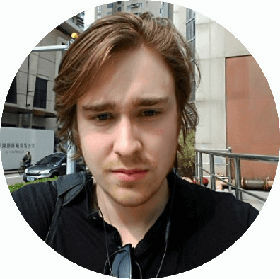 How can Alibaba allow scammers like these on their site! Im so stressed and have seen on social media how Alibaba seems to side with the Sellers. Please Advise? Unless you specified in a written contract (not email), that the machines must comply with a certain directive (i.e., Machine Directive), then there is no recourse. This could also have been discovered during a quality check, before the shipment. Firstly, great site. Secondly I wonder if you can help. I am looking to import into the EU. The product is Mirrors with LED’s on them (battery powered). From my reading of your above content, that looks like to me I require ROHS certification. Is this correct or have I got this wrong? RoHS is one directive that you must comply with. You must also comply with the EMC directive, even though it’s more of a formality when it comes to battery powered products. That said, it still affects the documents you must issue. Probably because they have none. As far as I know, Xiaomi has never officially launched in the EU. Hence, they have no EU compliance documents. i am buying a duplicated copy of a bike from a seller in guangdong china. what are the necessary documents that i should ask them to ensure my conformity so that i am not frauded. is there any way to check whether the business company is authentic and real or just a fake business??? please friends help me and tell me the basic points that i should take care of while purchasing and doing payment to them. Hi, I am looking at dropshipping an array of consumer electronics to EU and US consumers. Will these need to be marked CE considering I am not importing them, as they are addressed to the customer? Also what are the requirements for battery items such as iphone case chargers, as you mentioned these were not included in the LVD? I would be very grateful for a reply, this article has been very helpful indeed! Yes, technically dropshipping makes the customer the importer, but the authorities will go after you – not the customers. This is extremely risky, as the products sold on various dropshipping sites rarely, if ever, are made in compliance with EU regulations. For charges, I’d say that LVD, EMC and RoHS apply – but additional standards may be added or already be applicable. Helo we are a new company developing a musical plush toy for sale in EU. The site mentions obligations on the factory as manufacturer to comply with safety testing and for importer to conduct spot testing. What does spot testing mean here? We are going to conduct all required tests as we need to cover ourselves for customs and import purposes. We are going to conduct the tests on pre production samples only. Will this satisfy spot check requirements and if not, what is the requirements re spot checks? We don’t have the money to pay £3k a go on every 100th product etc.! Thanks in advance your website is very helpful. That probably refers to testing on samples collected from the batch, on a regular basis. The purpose is to ensure that the products are actually compliant, and that importers don’t test a pre-production sample that is made to be compliant, while the real product is not. I don’t think you need to check every 100th product, but maybe every or every 2nd batch. Compliance testing is expensive, and this is a cost that must be passed down to the consumer. We will import a machine in Europe, from China. We made some modification on the model that the factory makes, so they asked to us to pay to pass the CE and ROHS. Which is normal. I do have a question: I’ve been looking at importing a small diesel engine from China, to use in a generator set which I will build myself. I’ve hunted high & low, but I can’t find any mention of engines in the various CE categories – lots of mentions of engine-driven machinery… but not the motor itself. Can anyone tell me if I need a CE certificate for a small water-cooled diesel engine? Does the fact I intend to import it for my own personal use, and not for resale, make any difference? Slightly modified to function together. The individual components are CE certified. What type of cost would I be looking at to get this CE certified? Thank you! Amazing article, i’ve bookmarked it and will refer back to it often. That depends. If you only refer to lab testing, you might get away with a few thousand dollars in compliance costs. If you want to hire a consultant to assess all applicable regulations, create all the documents etc in the technical file, it’s counted in the tens of thousands. As a startup, you need to learn the process yourself. And would it perhaps be an idea to ship the CE certified components seperate and assemble it in the EU. Or does this not make any difference? I want to import a pedal car into the uk. Do I need a CE certificate for this? What kind of pedal car? It’s an adult pedal car with a steel chassis and a fibreglass frame. It seats 4 adults and I plan to start a business hiring them out. dumping or blocking the international free trade agreement. Thanks in advance for your kind time in reading. No, enforcing product safety standards is in no way dumping or blocking any free trade agreements. Further, there is no free trade agreement between China and the EU. This is a way to reduce the number of dangerous and low quality goods from Asia, to western markets. One more thing: SGS, TUV and Intertek are European, not Chinese – and their documents are valid in the EU. There is a business selling Chinese rip off macbook chargers, they have the complacence mark but they do not have the manufactures name on them, They also are not very safe, often breaking after and month and cause battery damage to the computer that are used. The second you plug one of these into your mac it voides the warranty of your computer. The original chargers have a microprocessor that turns it off and on many times a second to create the correct voltage while these knock offs dont, causing all the electrical energy to be converted into heat, making them extremely hot. Is there anyway i can dob them in? I live in Portugal and was sold a smartphone by a company in spain that doesn’t have CE, what can I do? I am interested in selling humidifiers from China in Europe. The product has got a CE Mark and comes with Verification of Conformity ( EMC Directive and EMC Standards). It also comes with an adaptor that has CE Marking, EMC Certificate, LVD Certificate and is TUV Tested. Do you think this is enough to sell legally? I’d really appreciate your help. I have been in touch with the UK Government but they said they can’t help. I want to import homebrew equipment from China to Croatia. Because of the specificity of the program, I would need smaller quantities of different items. According to my knowledge a large number of items are in the field of good engineering practice .. If I do not need a CE mark, do I need some other documents? Thank you for the very informative video. I am not 100% sure whether we would be responsible for applying for the CE mark so I thought I would ask. We are wanting to sell micro routers which are made in China. They are already sold directly by the manufacturer in the EU and they have a CE mark on them. We are wanting to buy some of the routers and then re-sell them with our logo on. Would we need to apply for a new CE mark or could we use the same one as the manufacturer? If we are able to use the same one as the manufacturer would we need to hold a copy of the certification and technical file? It’s always the importer that is responsible for ensuring that the product is compliant. if i am buy a special machine for my own use, do i need to show CE to the custom? Yes, if it’s an electronic machine, imported to the UK or other EU state. Could you please tell me if a gas deep fryer from China required a CE certificate in UK? Yes, that should fall under CE, as gas appliances are covered. Hi I would like to sell partyware and import all goods from China. I live in the UK, what regulations if any do I need to follow. That depends. Are these partyware products for adults or children? Hello, your site has been so useful!!! I read on the government site ‘products intended for use for educational purposes in schools and other pedagogical contexts under the surveillance of an adult instructor, such as science equipment. ‘ are not required to have CE marked is this true? Does this cover all educational resources as long as it’s for teaching for example flash cards, pretend play costumes, puzzles etc ?? Not sure about costumes, but I am quite certain that puzzles, cards and so on must be CE marked. Do you have a link to that government website? Thank you for your great, and informative blog! I’m trying to import HIFU machines for aesthetic treatment to Argentina. How can I be sure that CE certificate is the right in case I pay for it, and what do you recommend to get an international electric security certificate; I want to know if paying for a TUV certificate from China will be right? CE marking is only applicable in the EU., not in Argentina. You need to research regulations in Argentina. In the new EU regulations it is mandatory that products which are purchased and sold have the name of the manufacturer on the the product. Which regulation are you referring to? Quick question on a response received from a Manufacturer/Trader in China saying “Product don’t have CE certificate, but have CE mark on window box. We have 7P, EN71, EN62115, ASTM certificate.” This is for a Qty of toys I ordered. Are the above mentioned certifications enough or we still need the CE certificate to import to the UK/EU? Chinese suppliers don’t know how CE works (and it’s not their job to know). Yes, for toys, EN 71 is mandatory. This means you need a DoC, Technical file and CE mark on the products. The product must also be lab tested. Again, I warn you. Do not take compliance advice from a supplier. They don’t know how these things work. Does the CE certificate supplier have to be located in the EU? Can I contact a certificate supplier from India for instance? A supplier cannot be CE certified. CE compliance is on a product basis. CE can be applied to products regardless of where the manufacturer is located. Take the iPhone for example. CE compliant, and manufactured in China. Sorry, I was unclear. What I meant was: can I hire someone in India to test the product, write the technical files and DoC when my company is based in Belgium and I’m importing from China? As a start-up, we cannot afford hourly wages in our our country unfortunately. 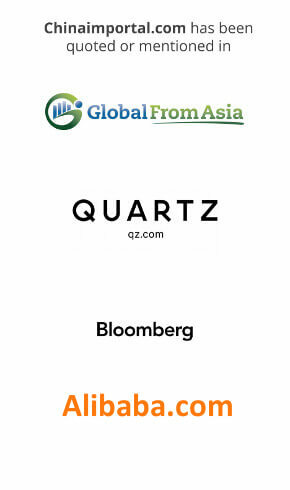 We were going to test like many others to import quartz watches from China to sell in Europe. We will use the manufacturer in China’s design and make only minor changes. If I understand correctly, we need to meet RoHS and EMC requirements. The product we are importing meets these requirements according to the manufacturer. My question then is if I can use their lab tests or possibly get the information directly from Citizen Miyota who makes movement as a basis in the technical file? The case is not made of stainless steel so it’s just the movement that needs to follow RoHS and EMC? the whole watch shall be compliant; however it’s true that RoHS only concern electronics components. Note that if you buy a Miyota movement, it shall already be compliant! Great article. I have been buried thick of in EU documents relating to CE trying to establish if USB cables without a plug need CE markings. It is very confusing they aren’t electronic equipment but could be considered a component. Any ideas? 1. A USB cable contains electronics components, as such it must probably comply at least with the RoHS Directive, which is part of CE framework. 2. Now, the CE framework says that the CE mark shall be put on the product if there is enough space; while if there is not enough space it can go on the instructions / package. I think that’s the reason for which USB cables usually don’t show the CE mark! Thanks Ivan, I have researched and can only find reference to wires and cabling that is installed permanently should be marked CE if it is included with an electronic device there is no need for a separate mark on the cable as far as I can see I will keep digging. Hi, I am pricing a steel roof roll forming machine in China into the EU, what should i look for in regards to CE marking ? and EU conformity requirements ? Yes, in that case compliance with the Machinery Directive, and possibly also LVD and RoHS, mandatory. Great article! I’m looking at some gateways and controllers for light. The manufacturer has Certificate of RED Compliance on them, does that cover the EMC, LVD and RoHS directive? Also they have signed a DoC document, can I then sell theyre products in EU without the technical files? No, you need a technical file, user manual and valid test reports. A DoC is not a substitute for this. We are due to import from China into Europe diamond cutting discs (for stone, marble, granite, etc) . Is it enough to be comply with the Machinery Directive or we need some other directives compliance measures? I have just purchased some B22 LED light bulbs from China. They are marked HaoTianCheng and have CE and ROHS 03 printed on the plastic base of the bulbs. I am frightened to use them as friends have told me they can catch fire. Do you know if they can be trusted and the markings are authentic? The markings are just markings. Black ink printed on the LED bulb, and nothing else. A print doesn’t make the product magically become compliant, which you surely know. Now, are the products technically compliant with LVD and other directives? Only a lab assessment can tell. I am looking to import a backpack with a USB port from China into UK. The backpack is nylon material, the USB is only 5V. What do I need to get from the supplier? In the Declaration it would be specified that the product is REACH and RoHS complaint? Would this product require CE mark even though the voltage is below the threshold? If yes then where should the CE mark be? on the USB itself or just the packaging? Other than the CE mark, is there any CE document that is required to be produced or is it just mentioned in the Declaration of Conformity?